Adore Facial Peeling Gel is specially formulated with extracts of natural ginseng and rosemary to ensure that it works as a unique exfoliating gel. As a blend of the Plant Stem Cell Formula, it is organic, safe and healthy. It has no chemical component and has been tested in accordance with the best laboratory practices with safe, non-harmful effects. Why is Facial Peeling Necessary for you? Face peels according to dermatologists helps to expunge dead layers of skin and quicken the pace of cell replacement. The creation of new cells leads to the emergence of a new layer of skin which creates a fresh layer of skin with a smooth and fresh look. Every new person experiences the formation of cells, but the pace are different and can be expedited. Face peels lead to an improvement of the tone and texture of your skin, minimizing the fine lines and unclogging the pores which results in clearing up of acne. Dermatologists have affirmed that face peeling does not aggravate the risk of acne neither does it precipitate any tendency to over-produce any class of oils. The problem often associated with skin peeling is that people deploy chemical agents that might be harmful thereby producing mixed results. The cycle of skin rejuvenation is a process that requires enhancing your body metabolism instead of a quick fix. Your skin cells require replacement and production of new cells is vital to this process. Adore Facial Peeling Gel is made of organic properties and Plant Stem cell Formula which is neither harmful nor damaging to your skin. Rather, the Adore Facial Microdermabrasion activates your skin cells thereby prompting it to renew itself. This unique formula is protective of the constituent stem cells present in your skin and encourages them to regenerate and develop healthy texture. The Adore Facial Peeling Gel is also embellished with Vitamins E, C and D3 which harmonizes with the rosemary and ginseng extracts to produce the alluring effect that leaves your skin vibrant, clean, fresh and glowing with ongoing youthful elasticity. Take a thin layer of the Adore Facial Peeling Gel and apply to your face and neck. Be careful to avoid eye contact. Gently Scrub off the gel and rinse the entire face thoroughly. Make sure to keep your usage to only once every week. 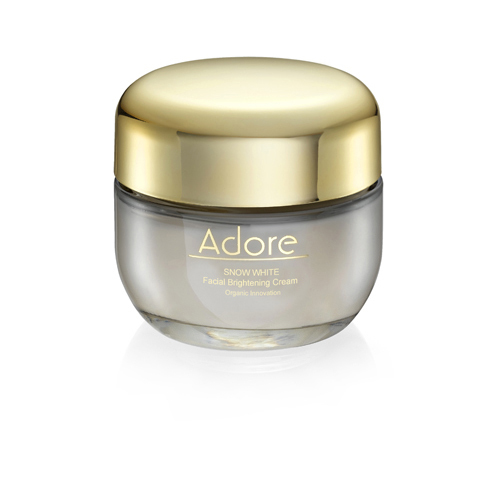 For hydration, use the Adore Essence Facial Hydrating Cream for you to have the best results.